According to the well-known Bradley’s Regress argument, one cannot explain the unity of states of affairs by referring to relations combining objects with properties. This argument has been widely discussed within analytic metaphysics, but has not been recognized as relevant for the philosophy of perception. I argue that the mainstream characterization of visual content is threatened by the Bradley’s Regress, and the most influential metaphysical solutions to the regress argument cannot be applied in the context of visual content. However, I show that a proper solution to Bradley’s Regress can be formulated by taking into consideration features of visual content suggested by empirical research in vision science. The famous Bradley’s Regress argument (original formulation: Bradley 1930 ) against the reality of relations has, within the contemporary analytic philosophy, been reinterpreted as a reasoning showing a problem concerning the unity of states of affairs (e.g., Maurin 2012; McBride 2005; Vallicella 2000). A situation in which A is red seems to be different from a situation in which A and redness exist but do not form a state of affairs. However, as Bradley’s Regress shows, referring to a relation between A and redness in order to distinguish a state of affairs from a mere existence of elements leads to an infinite vicious regress. The most important solutions to Bradley’s Regress consist in specifying properties that have to be possessed by a relation that unifies states of affairs to avoid the generation of a regress. In contemporary philosophy of perception, a dominant view is to characterize visual content in terms of states of affairs. It is claimed that human vision can resolve the “Many Properties Problem”, i.e. a problem of discerning patterns composed of different arrangements of the same elements (Clark 2004a; Matthen 2004). For instance, a presentation of a red square and a green triangle can be easily discerned from a presentation of a green square and a red triangle. Because of this ability it is believed that visual content cannot be described merely as a list of features. On the contrary, visual content should be characterized in term of visual subjects, i.e. objects or places, which instantiate features (Clark 2004a; Cohen 2004; Keane 2009). However, the above way of characterizing visual content seems to be threatened by Bradley’s Regress, which shows that visual content cannot be successfully described as composed of elements relationally bound into states of affairs. In this paper, I consider which solution to Bradley’s Regress can be applied in the context of visual content and rescue the dominant view on content from entailing an infinite regress. In this case, the requirements that have to be satisfied by a proper solution to Bradley’s Regress go beyond the usual formal correctness and ‘ontological economy’ considered in metaphysical discussion. In addition, a successful solution has to be consistent with the representational capabilities of the actual human visual system. In the first section, I present the Bradley’s Regress argument and its relevance for the characterization of visual content. Subsequently, I describe the most influential solutions to Bradley’s Regress (Sect. 2) and show that they face serious problems when applied to considerations regarding visual content (Sect. 3). Finally (Sects. 4 and 5), I argue that the proper solution to Bradley’s Regress in the context of human vision can be obtained by accepting, as psychological theories suggest, that there are two types of visual content, low-level and high-level content, with contrasting characteristics. I show that in case of low-level content Bradley’s Regress cannot start because at this level identity relations between elements of different visual states are not represented. On the other hand, while such identity relations are present within higher-level content, such content is disunified as it is constituted by several representations each representing only a single object and its features. I argue that such special cases are not threatened by Bradley’s Regress. Object A is green and object B is red. Both situations seem possible, as it is plausible to assume that colours are contingent properties of objects. The possibility of these two situations already shows that the mere presence of object A and redness is not sufficient for the existence of a state of affairs A is red. Object A and redness exist both in (I) and (II) but only the first situation contains the state of affairs A is red. Object A is connected to redness by an instantiation relation and object B is connected to greenness by an instantiation relation. Object A connected to greenness by an instantiation relation and object B connected to redness by an instantiation relation. In both these situations there exists an object A, redness, and instantiation between the object and a feature, but only in (Ia) do these elements form a state of affairs. Because of this a further explanation is needed to show in virtue of what a situation (Ia) differs from (IIa), i.e. it should be explained why the instantiation relation in (Ia) connects the object A and redness and not the object A and greenness as in (IIa). Object A instantiates redness in virtue of two other instantiation relations connecting A to instantiation, and instantiation to redness; object B instantiates greenness in virtue of two other instantiation relations connecting B to instantiation, and instantiation to greenness. However, this move regenerates the problem as there is a possible situation (IIb) in which there are the objects A and B such that A instantiates greenness in virtue of two additional instantiation relations and B instantiates redness in the same manner. The possibility of (IIb) shows that the mere presence of additional instantiation relations, connecting an object with instantiation, and instantiation with a feature, is not sufficient to distinguish (Ib) from (IIb), and further explanation is required to show why it is only in (Ib) that object A and redness form a state of affairs. Of course an attempt to provide an explanation by referring to further additional instantiation relations will generate another need for explanation and so ad infinitum. As a result, it seems that we cannot properly explain how objects and features are unified into states of affairs by postulating a relation connecting them together. Within the broad philosophical debate regarding BR there is no consensus on whether BR is a genuine problem for the unity of states of affairs. First, some authors claim that the generated regress is not vicious and so no solution to BR is needed (Gaskin 1995; Orilia 2002). Second, a common response to BR is to claim that regress is not generated because no further explanation is required to show why situations like (Ia) and (IIa) are different, as the very nature of relations is that they successfully connect elements (Butchvarov 1981; Perovic 2014). Another version of this response is to postulate that the relation of instantiation is not in fact a relation but a “non-relational tie” that has different properties to usual relations which make it immune to BR (Armstrong 1997, p. 30; Lewis 2002; Pelletier and Zalta 2000).1 In fact, it is well recognized that BR starts only if instantiation possesses certain characteristics. In particular, BR requires that instantiation does not have to combine any specific elements and the occurrence of instantiation is not entailed by the mere existence of some specific objects and properties (e.g., Armstrong 2005; Maurin 2010, see Sect. 2 for a detailed discussion). I do not believe (following authors like Maurin 2010, 2011; Schneider 2013; Simons 1994) that such responses easily allow refuting BR. First, the regress seems to be vicious because it is a regress of explanation: an initial explanation introduces elements that generate a need for an additional explanation ad infinitum. As a result, the starting phenomenon is left without a proper explanation. Second, while responses referring to essential abilities of relations to relate or to a non-relational character of instantiation express a correct intuition, they hardly constitute a sufficient solution to BR. This is because to provide a solution to BR one has to explicate the essential properties of relations that allow them to successfully bind elements without the need for further relations, or explicate the features of a special “non-relational tie” in virtue of which it is immune from BR. As presented in Sect. 2, the most influential solutions to BR are founded on negating properties of relations that formulations of BR implicitly assume. However, I do not attempt to further develop the argumentation for the significance of BR as the goal of this paper is not to defend the BR argument. Instead, I am making a conditional statement that if one accepts BR as a serious problem for the unity of states of affairs, then one should also accept that this problem affects the positions characterising visual content in terms of states of affairs. Bradley’s Regress has been widely discussed as a general metaphysical problem, but has not been investigated within the philosophy of perception. However, the general formulation of BR can be plausibly presented as an argument showing a problem threatening the dominant characterisations of visual content. By content of a perceptual representation I understand, as commonly stated in the contemporary philosophy of perception (see Siegel 2010), the aspect of a representation that determines its accuracy conditions. In the case of a visual representation, the accuracy condition is usually the presence of certain entities and relations between them. Because of that, the content of such representations can be characterised by providing a description of the relevant entities. Later, I write that content is constituted by these entities or that they are elements of content. According to this notion, a veridical representation of a red square, i.e. representing a red square when a red square is present, has the same content as an illusory representation which, for example, represents a red square when a red circle is present. This is so because they share an entity, i.e. a red square, whose presence is necessary for their accuracy. While this entity is actually present only in a veridical case, the content of both representations is the same. It is common to determine the representational content by analysing the phenomenal character of visual states. However, it is not the only way and in fact results of psychological experiments are often interpreted as showing that what vision represents may be quite different from what is suggested by phenomenology (e.g., Clark 2002). In Sects. 4 and 5, I argue that the characteristics of visual content inspired by empirical studies may be helpful in resolving the perceptual version of BR. Object A is green and object B red. Object A is connected to greenness by an instantiation relation and object B is connected to redness by an instantiation relation. However, if we accept BR as a serious challenge for the unity of states of affairs, then this explanation is threatened by an infinite regress. This is because if we explain the difference in representational contents associated with representing situations (I) and (II) in terms of objects instantiating properties, then a further explanation is needed to show in virtue of what in content (Ia) the instantiation connects A with redness and B with greenness and not conversely as in content (IIa). If this further explanation is made by characterising contents as including additional relations binding instantiation to objects and instantiation to features, then an infinite regress follows. As a consequence, no description of content would be adequate because each further characterisation, adding new instantiation relations, would be insufficient for explaining in virtue of what the elements of content are arranged in a way that allows for distinguishing situations (I) and (II). In the next section, I describe the most influential solutions to BR and then analyse whether they can be successfully applied to BR in the context of investigations concerning visual content. The most influential solutions to BR utilize the fact that the regress arises because it is implicitly assumed that the instantiation relation has certain properties and by changing these properties one may construct a version of instantiation that is immune from regress. The first such property is the externality of instantiation. A relation R is external for some elements if and only if these elements may simultaneously exist without standing in R. The usual example is that of spatial relations: the same material things may exist while standing in different spatial relations (e.g., being closer or further from each other), so each of the spatial relations is external for them. In the formulation of BR the instantiation is clearly characterized as external: in situation (I) object A instantiates redness but the same elements may also exist, as in situation (II), without standing in this relation. One way to solve BR is to deny externality and adopt an internal understanding of instantiation (e.g., Armstrong 2005; Denkel 1997; Robb 2005). A relation R is internal for some elements if and only if the simultaneous existence of these elements entails that they stand in R. Similarity relations between properties constitute intuitive examples. For instance, red and orange stand in a relation of being significantly similar and their existence is sufficient for this relation to occur. In other words, it seems impossible for these colours to jointly exist without standing in such a relation. As shown in the previous section, postulating that a state of affairs A is red is unified by an instantiation leads to a regress because a further explanation is needed regarding why the mere existence of A, redness, and instantiation differs from the unified state of affairs. However, this difficulty is no longer present if instantiation is an internal relation. In this case, the very nature of A and redness entails that they are connected by instantiation and a situation in which A, redness, and instantiation exist but are not unified is simply impossible. However, the internal solution faces an obvious problem. Intuitively, both situations (I) and (II) are possible but it seems that this cannot be the case if instantiation is internal. If the nature of A and redness entails an occurrence of instantiation between them, then it is impossible, as in situation (II), for this element to exist without forming a state of affairs. More generally, it seems that according to the internal solution there cannot be situations composed of the same elements that differ in their arrangement. To amend this problem and preserve our basic modal intuitions, proponents of the internal interpretation of instantiation have to claim that situations (I) and (II) do not contain numerically the same elements. This can be achieved in several ways. 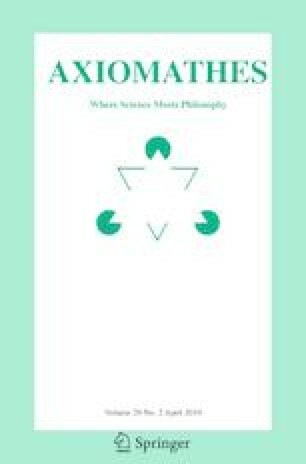 One may postulate that properties like redness and greenness are, as in metaphysical trope theories, numerically different despite being strictly similar (e.g., Ehring 2011, pp. 40–41; Maurin 2010). According to this idea, in situation (II) there exists rednessII, which is able exist together with object A without being instantiated by it; and in situation (I) there is an indistinguishable but numerically different rednessI that stands in an internal relation to object A and so has to be instantiated by A if only object A and rednessI exist. It can be claimed that in both situations (I) and (II) the features are numerically the same but the objects are different. In this case, in situation (II) there is an object AII that can exist together with redness without instantiating it, but in (I) there is an object AI whose nature is such that it has to instantiate redness if redness and AI exist at the same moment. Obviously, a third resolution is also possible, which combines the two previous ones. According to this proposal situations (I) and (II) do not share any numerically same elements. In situation (II) there is object AII and rednessII, whose presence does not entail instantiation, but in (I) there is a different object AI and rednessI, which is numerically different but strictly similar to rednessII, and these elements are combined through an internal instantiation. There is also another path for solving BR that does not deny the externality of instantiation but rather its elements-unspecificity (e.g., Maurin 2010; Mertz 1987; Simons 2010; Wieland and Betti 2008). In formulations of BR it is assumed that instantiation is unspecific to its elements, i.e. that in different situations the same relation can combine different elements. For instance, in situation (I) instantiation combines object A with redness, but in (II) it combines element A with greenness. On the contrary, a relation is specific to its elements if and only if it can combine only certain elements, x and y. The dichotomy unspecificity/specificity is different from the dichotomy externality/internality. A relation R is internal for elements a and b if and only if the existence of a and b entails that they stand in R. In other words, the occurrence of R is necessary for the joint existence of a and b because they never exist together without standing in R. However, the occurrence of R is not sufficient for the existence of a and b as R can occur also for different reasons (e.g., the presence of c and d, for which R is also internal). Oppositely, a relation R is specific to a and b if and only if the existence of R entails the existence of a and b combined by R. This is because R cannot occur without combining a and b. Because of this the occurrence of R is logically sufficient for the existence of a and b, but is not necessary: nothing prevents a and b from existing at the same time without being related by R.
While in solutions to BR relying on the internal understanding of instantiation, situations like (I) and (II) are characterized as containing numerically different features or objects (or both), solutions based on elements-specificity characterize situations (I) and (II) as containing the same features and objects but different relations. In particular, situation (I) contains a relation specific for object A and redness that is not present in situation (II), and so in (II) object A and redness do not form a state of affairs. Characterizing instantiation as elements-specific makes it possible to successfully block BR (let’s call this solution (D)). From the mere presence of an appropriate elements-specific relation in situation (I), it follows that object A and redness form a state of affairs. The very nature of the relation guarantees that object A and redness are combined and so a situation in which these elements and a relation exist but do not form a state of affairs cannot occur. This is not the case if instantiation is elements-unspecific, as then object A, redness, and instantiation could exist both in situations where object A instantiates redness and in those where such state of affairs is not present. The above considerations show that BR can be solved either by characterizing instantiation as internal or as elements-specific. What these solutions have in common is that they introduce a numerical difference between constituents of situations like (I) and (II). Solutions (A)–(C), relying on the internality of instantiation, postulate that in such situations features or objects are numerically distinct, while solution (D), relying on elements-specificity, entails that in both these situations different instantiation relations occur. In the next section, I consider whether any of these solutions can be used to solve BR arising in the context of visual content. Below, I argue that all of the above four solutions (A)–(D) face a serious problem when they are applied to BR in the context of visual content. This difficulty arises from feature common to all of them, namely that they introduce numerical difference where the visual system seems to represent sameness of elements. Initially, the content of a visual state is constituted by a red object on the left and a green object on the right (let’s name them X and Y, respectively). Next, it is experienced that objects gradually change their colours what results in a content where object X is green and object Y is red. Finally, it is experienced that the objects start to move in a continuous fashion and swap their positions. In consequence, the final content is constituted by the red object Y on the left and the green object X on the right. According to psychological research (Scholl 2007; Pylyshyn 2007, pp. 31–33), objects are visually represented as being the same despite changes concerning their features and location, unless their topological properties are modified or they move in a non-continuous fashion (Zhou et al. 2010). Because of this, changes described in (2) and (3) should preserve the represented identity of objects. Solution (A) entails that redness and greenness figuring in the content (1) have to be numerically different from redness and greenness constituting contents (2) and (3). For instance, the relation between redness and object X in (1) and the relation between redness and object Y in (2) are both internal, as assumed by the solution. If contents (1) and (2) contained the numerically same redness, then in both these contents redness would be related to X as, in virtue of internality of relation, the presence of redness and object X would be sufficient to combine this object with redness. However, this is not the case, as redness is combined with object X only in (1) and not in (2). As a consequence, the proponent of (A) has to assume that colours in (1), where redness is instantiated by X, and (3), where redness is instantiated by Y, are numerically different. However, it seems obvious that these contents are associated with visual states which are completely alike in terms of the distribution of colours when their phenomenal character is considered. What is more, both such visual states dispose us to the same actions based on represented colours, for example consisting into point out where at the end of the presentation is the object that has the same colour as the object that was one left at the beginning. Because of this, on the grounds of solution (A) visual content has to be characterized as including elements in virtue of which colours are numerically distinct, but which have no consequence for the visual phenomenology of colours and for colour-based interactions with the environment. However, postulating such elements seems to be ad hoc. One may oppose this conclusion by postulating that colours presented in perceptual experiences should be individuated not only by their hue-related qualities but also by times. If this is the case, then redness instantiated by X in (1) and redness instantiated by Y in (3) are numerically different simply because they are presented at distinct moments. However, such a position entails an implausibly strong conclusion that we cannot perceptually experience colours as being numerically the same in diachronic context. Quite oppositely, it is well-recognized that due to presence of colour constancies people are able to experience a colour as being diachronically the same even despite some changes concerning its qualities (e.g., arising from variations in lighting conditions, see Almäng 2016). Furthermore, the above problem cannot be solved by stating that redness in (1) and redness in (3) are numerically different simply in virtue of being instantiated by numerically different objects: X in the case of (1) and Y in the case of (3). Such an interpretation of solution (A) does not allow for solving BR. Both in (1) and (3) there are object A, redness, and instantiation, but only in (1) do these elements form the state of affairs X is red. Because of this we can ask: in virtue of what does instantiation relate the object X to redness in (1), but not in (3)?2 According to solution (A), it is so because the redness in (1) is numerically different to the redness in (3). However, in the above interpretation of solution (A), the numerical distinctiveness of colours is explained by the fact that they stand in relation to different objects. In consequence, solution (A) becomes circular as it explains a difference in patterns of instantiation by a numerical difference in features, which is then explained by a difference in patterns of instantiation. Such circularity does not threaten solution (A) if features are individuated by an intrinsic factor, as in this case there is no need to refer to a difference in patterns of instantiation in order to explain the numerical difference of features. The pattern of changing contents (1)–(3) can also serve to show an analogous problem with solution (B). According to this solution, visual contents that are apparently constituted by different arrangement of the same elements are actually composed of numerically different objects. In this case, the content (1) has to contain different objects to (2). In particular, object X in (1) is combined with redness through an internal relation. In (2) redness is also present but it is not combined with X, which is impossible if instantiation is an internal relation. Because of this, solution (B) has to assume that in (2) object X is not present; rather, what is present is some numerically different object X’ that is internally combined not with redness but with greenness. However, such an assumption is inconsistent with the way human vision works. As was already pointed out, vision represents objects as being numerically the same despite changes in colour, as only topological changes and movement discontinuities are likely to break the represented identity of objects (Scholl 2007; Pylyshyn 2007, pp. 31–33). Of course, the same problems are faced by solution (C), which combines (A) and (B) and inherits their features. The situation is no different when solution (D) is considered, according to which instantiation is not internal but is elements-specific. While here the features and objects in contents (1), (2), and (3) are the same, the relations between features and objects in (1) are numerically distinct from those in (2) and (3). This is because in (1) there are two relations: one specific to X and redness and a second specific to Y and greenness. In (2) and (3) the relations are different: one specific to X and greenness and second specific to Y and redness. However, the numerical difference in instantiation relations entailed by solution (D) is not associated with any change in the phenomenal character. It seems that phenomenal differences related to the transition between (1) and (2) are exhausted by the fact that redness is now instantiated by the object on the left and greenness by the object on the right, and do not involve any change in how the connections between objects and colour appear themselves. In fact, nothing in the way in which vision represents the environment suggests that a relation connecting a colour with an object is phenomenally different from a relation combining a different object with a difference colour. What is more, actions to which we are disposed by being in visual states representing colourful objects do not seem to be guided by differences in the represented relation between colours and objects. They rather simply concern colours or objects, as in cases when an object is tracked despite changes in colour or when different objects are grouped together in virtue of having the same colour. Because of this, and similarly to previous solutions, a proponent of (D) has to postulate an element of content that differentiates instantiation relations without leading to any phenomenal difference or providing guidance for actions. Again, such postulate seems to be ad hoc. Similarly to the case of solution (A), solution (D) cannot be saved by postulating that instantiation relations are numerically different in virtue of combining numerically different elements. Such an interpretation would render solution (D) circular, as differences in combinations of features and objects are explained by numerical differences in instantiation relations, which are further explained by differences in combinations of features and objects. The above considerations show that the most influential solutions to BR are not well suited for resolving it in the context of visual content. In the following sections, I argue that a proper solution to BR can be formulated by focusing on psychological conception regarding the content of visual representations. Up to this point, I have implicitly assumed that visual content can be reliably described relying on our intuitions regarding the phenomenal character of visual states. However, this common-sense approach is challenged by empirical investigations in vision science. Psychological results show that the content of visual states is less detailed than the phenomenology suggests and is less unified in the sense that what we intuitively treat as a single visual state may be composed of several representations each with its own content. In particular, many psychological models of human vision introduce a distinction between two types of visual content, where the first type is correlated with low-level, parallel, preattentive, and encapsulated bottom-up processes while the other is correlated with higher-order serial and attentive processes that are influenced by top-down mechanisms (Raftopoulos 2009, p. 89). The first type, low-level content, is usually described in terms of feature-combinations (Rensink 2000a), features proto-predicated over locations (Clark 2004a), or even disconnected free-floating features (Treisman and Gelade 1980). Such content is rich in information and unified by encompassing the whole visual field, but may lack complex features like shape (Marr 2010, p. 37; Rock et al. 1992), may not allow for object individuation and identification (Leslie et al. 1998; Vecera 2000), and does not specify the identity relations between elements represented in distinct visual states (Rensink 2000a, b). This last feature of the low-level content will be especially important in the context of solving BR. It is claimed that this type of visual content is volatile and information from earlier representations is not carried to subsequent ones (Rensink 2000a), and that to describe the content of early visual representations a “feature-placing language” without the identity symbol is appropriate (Clark 2004a). It is also believed that content created by preattentive mechanisms is connected with the occurrences of “change blindness” (Clark 2002). When a part of visual field is not processed attentively, people are likely to be unaware of changes occurring in that part, even if those changes are as significant, such as the appearance of a new object. Again, this suggests that identity relations are not established between entities constituting distinct low-level contents. The second, higher-level visual content has different characteristics. First, it is less unified. Here, only several objects are visually represented (estimations vary from one to four objects) and each of these objects is represented by a separate representation. According to different psychological theories, this happens by attending to an object (Treisman 1998), applying a separate visual index for each object (Pylyshyn 2007, pp. 38–40), creating individual object files (Kahneman et al. 1992), or establishing a nexus unifying several lower-level representations (Rensink 2000a). Second, it is claimed that such higher-level content is connected with object re-identification. The objects represented in virtue of the mechanism mentioned above are recognized as being the same despite change of features, continuous movement, and even brief periods of occlusion (Scholl 2007; Pylyshyn 2007, pp. 31–33; Rensink 2000a). Such results suggest that, differently to the case of low-level content, here identity relations between elements of distinct contents are established. The usual visual phenomenology suggests that a visual state is a single representation which is quite detailed, represents many objects and contains information that is used for representing identity relations. However, the influential theories in vision science propose a different picture of visual content. It seems that usual visual states are not single representations but are composed of several representations each with different content. First, there is a unified low-level content possessed by a single representation. This content encompasses the whole visual field and is composed of elements whose identity between distinct contents is not visually represented. Second, there is a less unified higher-level content, distributed between several representations of single objects. This type of visual content allows for recognizing identity relations connecting constituents of distinct contents. In the next section, I show that these two combinations of features, lower-level unity without cross-content identity and higher-level disunity with cross-content identity, allow for solving BR for each type of visual content. BR can be avoided by introducing elements which, by their very nature, have to be combined with, or have to combine, certain other elements. Solutions (A)–(C) achieve this by assuming that the existence of some specific objects and features entail that they are combined. Solution (D) applies the same strategy to relations by assuming that, if they occur, they have to combine some specific objects and features. The common cost of these solutions is that they all entail that situations (I) and (II) not only differ in combinations of elements but in fact contain numerically different elements: features or objects in the case of (A)–(C) and different relations in the case of (D). I have argued that in the context of visual perception, these consequences are implausible given the way in which vision seems to establish identity relations between elements of distinct contents. Of course, the above problem arises only if one assumes that vision represents identity relations between constituents of the contents of the distinct visual states. While such an assumption may intuitively seems obvious, it is contested in psychological investigations concerning the nature of low-level representations as presented in the previous section. Let’s assume that such psychological conceptions are correct and (I) and (II) are contents of distinct visual states generated solely by low-level visual mechanisms.3 In this case, our intuitive belief that (I) and (II) are composed of the numerically same elements is unjustified. Low-level vision does not treat redness in (I) and redness in (II) as identical. Neither does it treat them as numerically different, but is simply unable to establish any identity or non-identity relations between elements of distinct contents at all. The problem with solutions (A)–(D), when applied to visual content, was demonstrated by looking at three subsequent visual contents: (1) object X on the left is red, object Y on the right is green; (2) object X on the left is green, object Y on the right is red; and after a continuous movement of objects (3), object Y on the left is red, object X on the right is green. The problem arises because solution (A)–(D) entails that (a) features, objects, or relations are numerically different in contents (1) and (2), but vision seems to represent that (b) features, object, and relations are the same in (1)–(3). However, according to characteristics of low-level content both (a) and (b) has to be refuted. If contents (1)–(3) are interpreted as low-level ones, then features and objects are neither represented as being the same nor as being numerically different, because low-level vision does not represent such characteristics. This lack of identity relations prevents BR from starting. The regress arises because it seems that the same elements can exist while forming a state of affairs as well as while being separated, and one cannot properly explain what makes these two types of situation different by referring to instantiation relations. However, to formulate this problem it has to be assumed that there can be identity relations between elements constituting different situations and exactly this assumption seems to be false in case of low-level contents. Because of the representational limitations of low-level vision, the low-level content is immune to BR. The above solution does not hold for the whole of human vision because higher-level representations represent objects as being the same in the subsequent moments despite a variety of changes concerning their features and position. Earlier, I stated that low-level content and higher-level content have contrasting characteristics. The first is unified but does not contain identity relations between elements of distinct contents. Such identity relations are present in higher-level content, but such content lacks unity, as every object is represented by a separate representation. Below, I argue that this lack of unity allows the higher-level visual content to escape BR. To demonstrate this, observe that there are three degrees at which the instantiation relation may be dependent on features and objects. First, as in solutions (A)–(D), instantiation has to combine some specific elements because its occurrence is entailed by the existence of these elements [solutions (A)–(C)] or because the nature of instantiation entails that it can combine only specific elements [solution (D)]. This level of dependence allows us to solve BR, but forces us to accept that, strictly speaking, there are no situations in which numerically same features, objects, and relations are combined differently. Second, instantiation may have to connect an object and a property but they do not have to be any specific object and property. This level of dependence allows for different combinations of the same elements but also leads to BR. It is demonstrated by situations (I) and (II), where instantiation does not exist without connecting a feature to an object but is both external and elements-unspecific and so generates BR. Finally, it may be the case that combining objects with properties is a contingent feature of instantiation, and free-floating instantiations, which exist without forming state of affairs, are possible. The analogous three levels of dependency may characterize how strongly features depend on objects. First, it may be the case that if a feature exists, then it is instantiated by a specific object. According to the second option, a feature has to be instantiated by an object but not by any specific object. Finally, there may be free-floating features that exist without being instantiated. Using the above distinctions we may consider a special class of situations that contain only one object and some features. If free-floating instantiation relations and free-floating features are possible then BR arises in this class of one-object situations. This is because there may be a situation containing the object A instantiating redness, and a situation containing the object A, redness, and instantiation that are separate, free-floating entities. If one postulates that these situations may be discerned by introducing additional instantiations, for which it is also possible to be free-floating, then the regress starts. Nevertheless, to resolve BR in one-object situations, it is enough to assume that (a) while being external and elements-unspecific, instantiation relations always have to combine some objects with features, and (b) there cannot be free-floating features. Every one-object situation contains a single object x and some features F1,…, Fn. Because features have to be instantiated by something, it follows that such situations also contain instantiation relations. What is more, every instantiation relation has to combine a property with an object and so, because there is only object x in a one-object situation, then all properties F1,…, Fn have to be instantiated by x. To start BR it is necessary to show that there is a possible situation in which the same elements, the object x, features F1,…, Fn, and instantiation relations, exist but are differently combined. However, such an alternative situation is impossible because, given the assumptions about features and relations, the mere existence of x and F1,…, Fn entails the unique mode of combination. The above reasoning shows that while in situations like (I) and (II) BR cannot be avoided if instantiation is external and elements-unspecific, this is not the case in a special class of one-object situations if only the possibility of free-floating features and relations is denied. This result is important, because it seems that higher-level visual content can be described as satisfying the above constraints. Higher-level content is divided between several representations, each of which represent exactly one object and its features. Content possessed by each of these representations can be plausibly described as a one-object situation. What is more, there is no evidence that higher-level visual content contains free-floating features and relations. Because of these characteristics there is no need to interpret instantiations as internal or elements-specific, as happens in solutions (A)–(D), in order to avoid BR. According to the described view on higher-level content, each of the contents (1)–(3) is composed of two one-object situations. Within (1), these two one-object situations are: (1a) object X instantiating redness and being on the left and (1b) object Y instantiating greenness and being on the right. In transition between (1) and (2) the one-object situation (1a) changes to (2a), where object X is green and (1b) changes to (2b), containing object Y instantiating redness. Because here instantiation does not have to be interpreted as internal or elements-specific to avoid BR, the transition from (1) to (2) does not entail that features, objects, or instantiation relations in (1) are numerically different to those in (2). Finally, after period of continuous movement, content (3) is composed of two one-object situations: (3b) with the red object Y on the left and (3a) with the green object X on the right. Again, nothing enforces features, objects, or relations to be replaced by their numerically different counterparts as a result of such transformation. It should be noted that describing visual states as composed of several one-object situations does not entail that vision cannot represent relations between objects belonging to distinct one-object situations. Two objects connected by a relation constitute a two-object situation which contain a 2-place relation. Such content is also safe form BR because, if only there are no free-floating relations, there is only one possible way how to combine two objects by using a 2-place relation within a situation that contains only two objects. The above considerations show that BR can be resolved in the context of vision if psychological descriptions of visual content are taken into considerations. In fact, as there are two types of visual content, there are two ways of resolving BR. In the case of low-level content, BR cannot arise because early vision does not establish identity relations between elements of distinct contents. Higher-level content is composed of separate one-object situations and in this specific class of situations BR can be solved by accepting externality and the elements-unspecificity of instantiation if the possibility of free-floating features and relations is refuted. Interestingly, these two solutions are different from most influential solutions to BR which assume internality or elements-specificity of instantiation and in effect introduce numerical diversity where such diversity is not represented by the human vision. I have argued that the problem known in metaphysical debates as “Bradley’s Regress” also arises in the context of visual perception, given the mainstream characterizations of visual content. The most popular solutions to BR, which deny externality or the elements-unspecificity of instantiation relations, are implausible when applied to visual content as they do not respect the rules according to which human vision represents identity relations. However, a proper visual solution to BR can be formulated if psychological descriptions of visual content are taken into account. In fact, there are two solutions to BR, since there are two types of visual content. In case of low-level content BR does not arise because at this level vision does not represent identity relations between elements of distinct contents, and where higher-level content is concerned, the regress is blocked because this type of content is composed of separate one-object situations. Another idea how to refute BR is to abandon the ontology in which properties and objects constitute state of affairs. Among various available alternatives there are nominalistic ontologies without properties or ontologies in which states of affairs are basic entities that are not composed of anything more fundamental. However, I do not discuss such options, since the main characteristics of visual content describe it in terms of combinations of objects and properties. Offering an explanation in terms of additional instantiation relations is what leads to BR. Some authors claim that the low-level vision does not represent objects and because of this subjects instantiating features should be characterized as places (Clark 2004b). This would lead to a modification in descriptions of contents (I) and (II) but does not influence the argumentation developed in this paper. The author would like to thank participants of ECAP09 conference, participants of Ontology Seminar at Jagiellonian University, and the anonymous reviewer for their comments concerning the earlier versions of the paper. The work was supported by the National Science Center (Poland) Grant 2016/20/S/HS1/00090. The research did not involve human participants or animals.